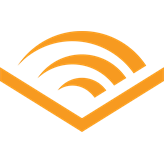 The Android Core group owns the core experience for Audible Android App. Audible customers spend most of their time with Audible on their apps. It's our responsibility to push Audible into new places for their Android listening. Achieving this vision means expanding and strengthening Deployment on Android App; new technologies like adaptive live streaming; as well as driving a strong engineering culture with processes like A/B Testing. This opportunity specifically is as a Software Development Engineer within the Audible Android group. The team is building customer facing UI for Audible Android application. We need your help to develop and deliver on this vision. Success means we lay the foundation for continued expansion of our company without disrupting an already tremendously successful and much-loved project. We're a part of Amazon: they are our parent company and it's a great partnership. You'll get to play with all of Amazon's technologies, but it doesn't stop there. Audible is built on a strong foundation of Amazon technology and you'll have insight into the inner workings of the world's leading ecommerce experience. There's a LOT to learn! Your career will benefit from working with teams like Alexa, Kindle, A9, P13N and many more. If you want to own and solve problems, work with a creative dynamic team, fail fast in a supportive environment while growing your career and working on high volume (5000+ transactions per second) services that support millions of customers worldwide, we want to hear from you. · As a Software Development Engineer, you will be part of the Android team. Our core goal is to make Android app development faster and higher quality. · Own key components within our platform. "Owning" means envisioning, designing, creating, building, and supporting. · Set the technical direction and strategy within the team and strategize to influence technology across Audible and beyond. · Partner with product management to imagine, design, develop, test, and launch software that invigorates our community and inspires our peers. · Evangelize our content and application, work closely with business development, and through events like external hackathons and internal brown bag sessions. · Lead the way - "Lead" means staying up to date with tools, trends, technologies, and frameworks both industry-wide and within Amazon. Sharing that knowledge in a meaningful way with the community. · Solve problems which are not clearly defined and have a large degree of ambiguity while translating our organizational vision into functional plans that guide their execution. · Support our developers. "Support" means be the go-to-person for questions but never a bottleneck. See around the corner and anticipate developers' needs. · Mentor and grow developers by cultivating curiosity and deep technical understanding. · BA/BS degree in Computer Science, related field or equivalent practical experience. · 7+ years of professional software development experience. · Prior success as a software engineer, subject matter expert, and strategic influencer on the direction of the product design and development. · Outstanding interpersonal skills and the ability to work effectively across teams & multiple division stakeholders. · Working knowledge of modern best practices: dependency injection, operations/promises, and modular development. · Experience in streaming technologies (HLS, DASH).